Successfully Added 2.4GHz 4-CH palm wireless mobile AV receiver, With 4 X 203CA to your Shopping Cart. eceiver for this product can be used either as a reciever for wireless cameras, or as a MP4 playrer. This Reciever can record wired camera signals. 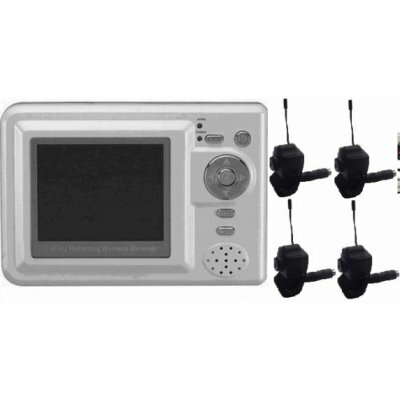 This set comes bundled with 4 wireless cameras. Once logged in you can use the online shopping cart to create on- the-fly shipping quotations.